Guiltless bliss! 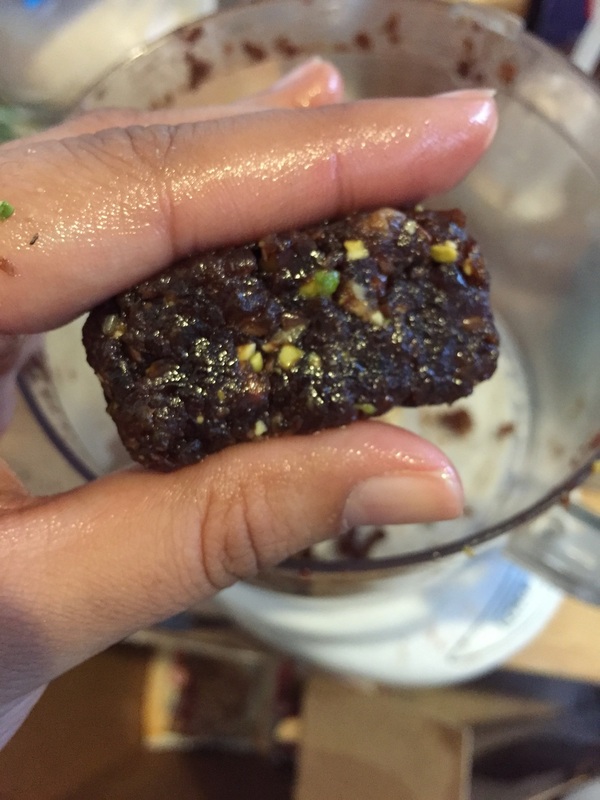 These take only 15 mins to make & are wayyyy healthier than eating real fudge. They're also gluten-free & vegan! In a food processor, combine all ingredients & pulse until a fine mixture forms. Add more coconut oil if the mixture is too dry (it should look moist, but not wet). Using your fingers, form small rectangular bars with about 1 spoonful of the mixture for each (see image below). Put the remaining pistachio crumbs in a small sandwich bag. Add the bars one at a time to the bag & shake it so the pistachio crumbs cover each bar. That's it! You can refrigerate these if you want them cold, or just serve them as-is!